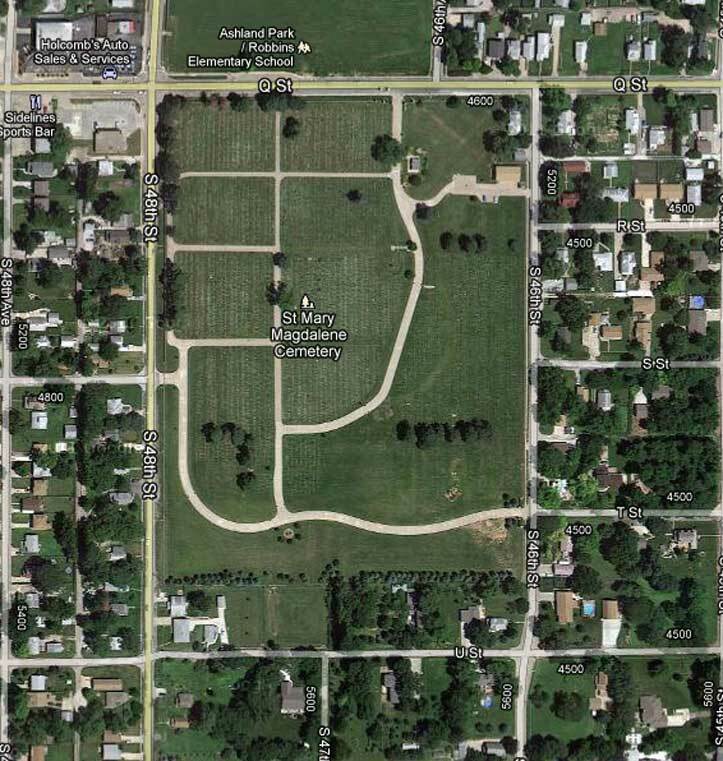 This is an aerial view of St. Mary Magdalene Cemetery, located at 4605 Q Street, which was begun around 1900. This is a Catholic Cemetery, but is also known as German Catholic Cemetery. This is another cemetery that was virtually full, but it looks like more land was purchased and added in the past fifteen years.